What can Montreal Offer You? In addition to fine night life, diverse culture and excellent restaurants, Montreal has some remarkable attractions. Among these is Old Montreal, home to the stunning Notre Dame Basilica. Also worth a visit is Parc Jean Drapeau. This man-made island hosted expo '67 and holds the Grand Prix every year on the Gilles Villeneuve race track. In the middle of the track you'll come across a large golden building, the Montreal Casino, formerly the pavilion of France. The popular theme park La Ronde sits on the end of the island and is where the annual International Fireworks festival takes place June through July. For the perfect view of the city go to the top of Mont Royal or take in the view from the rooftop terrace at Place Ville Marie, Montreal's tallest building. If you are an art lover the Montreal Museum of Fine Arts is Canada's oldest, and one of its best. Montreal by night is an adventure waiting to be happen. Internationally reputed to have the best nightlife in the world, no traveler leaves unfulfilled. With its hundreds of night clubs, whether it be jazz or blues, classic, R&B, house, fusion, rock or dance, you'll find what your looking for here. Montreal has a vibrant and active Night Life that connoisseurs, party goers and wanting adults adore. And remember, when you travel with us you'll be a VIP, see Night Life for more information. Montreal and New York are the only two cities in North America recognized as major fashion centers "Cities of Fashion guide, Promostyl". If its shopping you want, you'll find an endless variety of stores offering cutting edge trend. This city is also known for having the largest underground walkway in the world, linking 200+restaurants, 1700 boutiques, 30 movie theatres and halls, 10 subway stations and loads more. Definitely an experience not to missed. A 1hr drive in any direction will take you to the Laurentians, the Eastern townships, or the Adirondacks, where you'll find the best ski hills on the East Coast. Montreal is also a golfer's paradise during the summer months where you'll find over 100 golf courses in the Greater Montreal area, including some of the best in Canada, such as the first golf course in North America, the Royal Montreal, which is still in operation. Montreal island, the only city in Canada to be entirely surrounded by water, is home to 90+marinas within a 1hr drive offering plenty of water activities. Montreal is home to 3 professional teams, hockey, baseball and football. Watch the Habs play at the Molson Center and experience the Canadian hockey spirit or go the Olympic Stadium to watch the Expos or Alouettes. Click the links below to visit their official pages. Greater Montreal is home to the internationally renowned The Montreal symphony orchestra, the Montreal opera company and 30-odd other musical organizations, including the Orchestre Métropolitain du Grand Montreal and the Orchestre Symphonique de Laval. There are some 60 theatre stages and 171 movie screens in the Montreal area. Every year, Montreal plays host to more than 40 festivals and major international events including North America's biggest Jazz festival, the just for Laughs festival and the International fireworks festival. Click the links below or go to our Activities page for more information. Want info on montreal festivals, whether it be the montreal just for laughs or the montreal jazz festival or the montreal film festival or montreal opera, we make montreal goingout easy. We have all the info you need. Let us be your montreal guide and links to montreal museum montreal theatre and the montreal planetrarium in montreal qubec. Experience the montreal culture in montreal city. On your next montreal vacations get some montreal maps. Montreal travel and montreal tourism made easy, with VIP. Are you a sports fan? The montreal molson center features montreal alouettes and the montreal canadiens and montreal hockey games. Come join in on great montreal ski and montreal golf enjoy all of montreal sports. We also feature major events such as montreal formula 1 aka montreal f1 or the montreal grand prix and recently added the montreal indy cart it's montreal racing at its best. Want good montreal nightlife and montreal nightclubs when montreal going out, montreal vip will take care of you and all your needs. Check out montreal crescent and the montreal hard rock, we have an extensive list of montreal bars and montreal stripclubs. Travel montreal with vacations montreal and be a VIP Check out montreal weather and find the best montreal restaurants and montreal hotels on your montreal trip. Ready for Montreal night life and great montreal clubs and montreal night clubs lively montreal entertainment and of course montreal strip clubs. Come to montral Enjoy montreal quebec, montreal canada with montrealvip. Want info on montreal festivals, whether it be the montreal just for laughs or the montreal jazz festival or the montreal film festival or montreal opera, we make montreal goingout easy. We have all the info you need. Let us be your montreal guide and links to montreal museum montreal theatre and the montreal planetrarium in montreal qubec. Experience the montreal culture in montreal city. On your next montreal vacations get some montreal maps. Montreal travel and montreal tourism made easy, with VIP. Are you a sports fan? The montreal molson center features montreal alouettes and the montreal canadiens and montreal hockey games. Come join in on great montreal ski and montreal golf enjoy all of montreal sports. We also feature major events such as montreal formula 1 aka montreal f1 or the montreal grand prix and recently added the montreal indy cart it's montreal racing at its best. Want good montreal nightlife and montreal nightclubs when montreal going out, montreal vip will take care of you and all your needs. Check out montreal crescent and the montreal hard rock, we have an extensive list of montreal bars and montreal stripclubs. Travel montreal with vacations montreal and be a VIP Check out montreal weather and find the best montreal restaurants and montreal hotels on your montreal trip. Ready for Montreal night life and great montreal clubs and montreal night clubs lively montreal entertainment and of course montreal strip clubs. Come to montral Enjoy montreal quebec, montreal canada with montrealvip. Want info on montreal festivals, whether it be the montreal just for laughs or the montreal jazz festival or the montreal film festival or montreal opera, we make montreal goingout easy. We have all the info you need. Let us be your montreal guide and links to montreal museum montreal theatre and the montreal planetrarium in montreal qubec. Experience the montreal culture in montreal city. On your next montreal vacations get some montreal maps. Montreal travel and montreal tourism made easy, with VIP. Are you a sports fan? The montreal molson center features montreal alouettes and the montreal canadiens and montreal hockey games. Come join in on great montreal ski and montreal golf enjoy all of montreal sports. We also feature major events such as montreal formula 1 aka montreal f1 or the montreal grand prix and recently added the montreal indy cart it's montreal racing at its best. Want good montreal nightlife and montreal nightclubs when montreal going out, montreal vip will take care of you and all your needs. 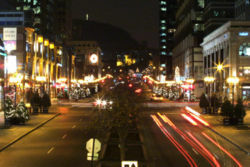 Check out montreal crescent and the montreal hard rock, we have an extensive list of montreal bars and montreal stripclubs. Travel montreal with vacations montreal and be a VIP Check out montreal weather and find the best montreal restaurants and montreal hotels on your montreal trip. Ready for Montreal night life and great montreal clubs and montreal night clubs lively montreal entertainment and of course montreal strip clubs. Come to montral Enjoy montreal quebec, montreal canada with montrealvip. Want info on montreal festivals, whether it be the montreal just for laughs or the montreal jazz festival or the montreal film festival or montreal opera, we make montreal goingout easy. We have all the info you need. Let us be your montreal guide and links to montreal museum montreal theatre and the montreal planetrarium in montreal qubec. Experience the montreal culture in montreal city. On your next montreal vacations get some montreal maps. Montreal travel and montreal tourism made easy, with VIP. Are you a sports fan? The montreal molson center features montreal alouettes and the montreal canadiens and montreal hockey games. Come join in on great montreal ski and montreal golf enjoy all of montreal sports. We also feature major events such as montreal formula 1 aka montreal f1 or the montreal grand prix and recently added the montreal indy cart it's montreal racing at its best. Want good montreal nightlife and montreal nightclubs when montreal going out, montreal vip will take care of you and all your needs. Check out montreal crescent and the montreal hard rock, we have an extensive list of montreal bars and montreal stripclubs. Travel montreal with vacations montreal and be a VIP Check out montreal weather and find the best montreal restaurants and montreal hotels on your montreal trip. Ready for Montreal night life and great montreal clubs and montreal night clubs lively montreal entertainment and of course montreal strip clubs. Come to montral Enjoy montreal quebec, montreal canada with montrealvip. Want info on montreal festivals, whether it be the montreal just for laughs or the montreal jazz festival or the montreal film festival or montreal opera, we make montreal goingout easy. We have all the info you need. Let us be your montreal guide and links to montreal museum montreal theatre and the montreal planetrarium in montreal qubec. Experience the montreal culture in montreal city. On your next montreal vacations get some montreal maps. Montreal travel and montreal tourism made easy, with VIP. Are you a sports fan? The montreal molson center features montreal alouettes and the montreal canadiens and montreal hockey games. Come join in on great montreal ski and montreal golf enjoy all of montreal sports. We also feature major events such as montreal formula 1 aka montreal f1 or the montreal grand prix and recently added the montreal indy cart it's montreal racing at its best. Want good montreal nightlife and montreal nightclubs when montreal going out, montreal vip will take care of you and all your needs. Check out montreal crescent and the montreal hard rock, we have an extensive list of montreal bars and montreal stripclubs. Travel montreal with vacations montreal and be a VIP Check out montreal weather and find the best montreal restaurants and montreal hotels on your montreal trip. Ready for Montreal night life and great montreal clubs and montreal night clubs lively montreal entertainment and of course montreal strip clubs. Come to montral Enjoy montreal quebec, montreal canada with montrealvip. Want info on montreal festivals, whether it be the montreal just for laughs or the montreal jazz festival or the montreal film festival or montreal opera, we make montreal goingout easy. We have all the info you need. Let us be your montreal guide and links to montreal museum montreal theatre and the montreal planetrarium in montreal qubec. Experience the montreal culture in montreal city. On your next montreal vacations get some montreal maps. Montreal travel and montreal tourism made easy, with VIP. Are you a sports fan? The montreal molson center features montreal alouettes and the montreal canadiens and montreal hockey games. Come join in on great montreal ski and montreal golf enjoy all of montreal sports. We also feature major events such as montreal formula 1 aka montreal f1 or the montreal grand prix and recently added the montreal indy cart it's montreal racing at its best. Want good montreal nightlife and montreal nightclubs when montreal going out, montreal vip will take care of you and all your needs. Check out montreal crescent and the montreal hard rock, we have an extensive list of montreal bars and montreal stripclubs. Travel montreal with vacations montreal and be a VIP Check out montreal weather and find the best montreal restaurants and montreal hotels on your montreal trip. Ready for Montreal night life and great montreal clubs and montreal night clubs lively montreal entertainment and of course montreal strip clubs. Come to montral Enjoy montreal quebec, montreal canada with montrealvip. Want info on montreal festivals, whether it be the montreal just for laughs or the montreal jazz festival or the montreal film festival or montreal opera, we make montreal goingout easy. We have all the info you need. Let us be your montreal guide and links to montreal museum montreal theatre and the montreal planetrarium in montreal qubec. Experience the montreal culture in montreal city. On your next montreal vacations get some montreal maps. Montreal travel and montreal tourism made easy, with VIP. Are you a sports fan? The montreal molson center features montreal alouettes and the montreal canadiens and montreal hockey games. Come join in on great montreal ski and montreal golf enjoy all of montreal sports. We also feature major events such as montreal formula 1 aka montreal f1 or the montreal grand prix and recently added the montreal indy cart it's montreal racing at its best. Want good montreal nightlife and montreal nightclubs when montreal going out, montreal vip will take care of you and all your needs. Check out montreal crescent and the montreal hard rock, we have an extensive list of montreal bars and montreal stripclubs. Travel montreal with vacations montreal and be a VIP Check out montreal weather and find the best montreal restaurants and montreal hotels on your montreal trip. Ready for Montreal night life and great montreal clubs and montreal night clubs lively montreal entertainment and of course montreal strip clubs. Come to montral Enjoy montreal quebec, montreal canada with montrealvip. Want info on montreal festivals, whether it be the montreal just for laughs or the montreal jazz festival or the montreal film festival or montreal opera, we make montreal goingout easy. We have all the info you need. Let us be your montreal guide and links to montreal museum montreal theatre and the montreal planetrarium in montreal qubec. Experience the montreal culture in montreal city. On your next montreal vacations get some montreal maps. Montreal travel and montreal tourism made easy, with VIP. Are you a sports fan? The montreal molson center features montreal alouettes and the montreal canadiens and montreal hockey games. Come join in on great montreal ski and montreal golf enjoy all of montreal sports. We also feature major events such as montreal formula 1 aka montreal f1 or the montreal grand prix and recently added the montreal indy cart it's montreal racing at its best. Want good montreal nightlife and montreal nightclubs when montreal going out, montreal vip will take care of you and all your needs. Check out montreal crescent and the montreal hard rock, we have an extensive list of montreal bars and montreal stripclubs. Travel montreal with vacations montreal and be a VIP Check out montreal weather and find the best montreal restaurants and montreal hotels on your montreal trip. Ready for Montreal night life and great montreal clubs and montreal night clubs lively montreal entertainment and of course montreal strip clubs. Come to montral Enjoy montreal quebec, montreal canada with montrealvip. Want info on montreal festivals, whether it be the montreal just for laughs or the montreal jazz festival or the montreal film festival or montreal opera, we make montreal goingout easy. We have all the info you need. Let us be your montreal guide and links to montreal theatre and the montreal planetrarium in montreal qubec. Experience the montreal culture in montreal city. On your next montreal vacations get some montreal maps. Montreal travel and montreal tourism made easy, with VIP. Are you a sports fan? The montreal molson center features montreal alouettes and the montreal canadiens and montreal hockey games. Come join in on great montreal ski and montreal golf enjoy all of montreal sports. We also feature major events such as montreal formula 1 aka montreal f1 or the montreal grand prix and recently added the montreal indy cart it's montreal racing at its best. Want good montreal nightlife and montreal nightclubs when montreal going out, montreal vip will take care of you and all your needs. Check out montreal crescent and the montreal hard rock, we have an extensive list of montreal bars and montreal stripclubs. Travel montreal with vacations montreal and be a VIP Check out montreal weather and find the best montreal restaurants and montreal hotels on your montreal trip. Ready for Montreal night life and great montreal clubs and montreal night clubs lively montreal entertainment and of course montreal strip clubs. Come to montral Enjoy montreal quebec, montreal canada with montrealvip.